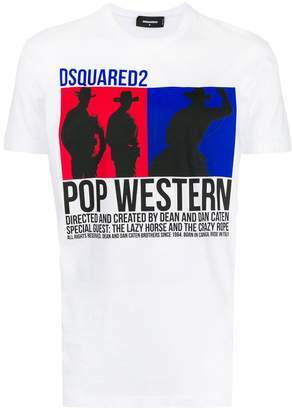 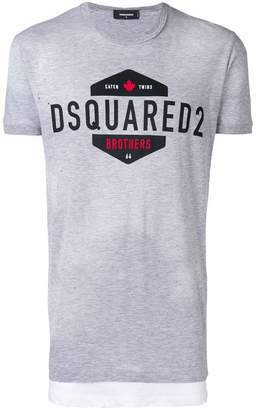 'Born in Canada, living in London, made in Italy' is the iconic Dsquared2 slogan. 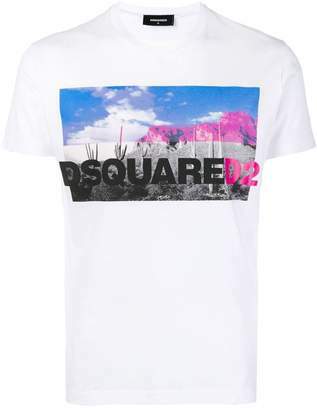 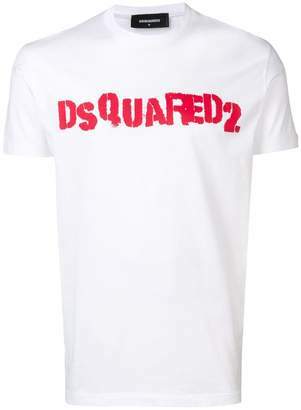 These pinpoints of origin are reflected in the designs of Dsquared2. 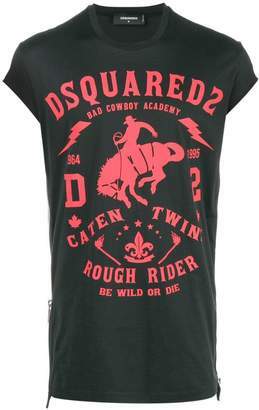 Expect to see Canadian motifs, a London urban edge and a grounding in classical Italian tailoring. 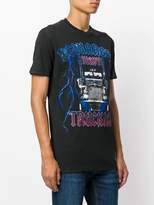 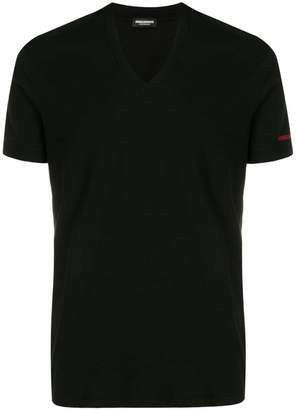 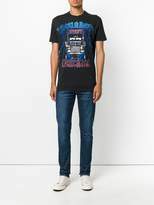 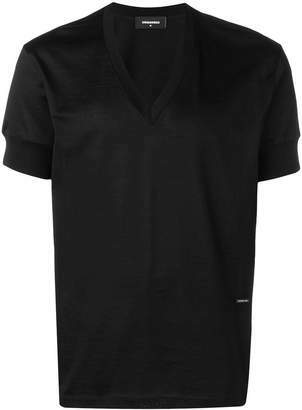 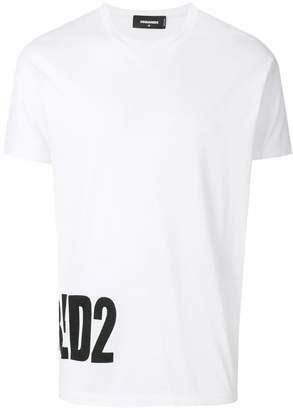 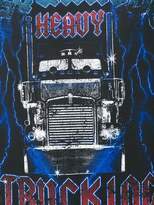 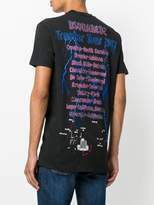 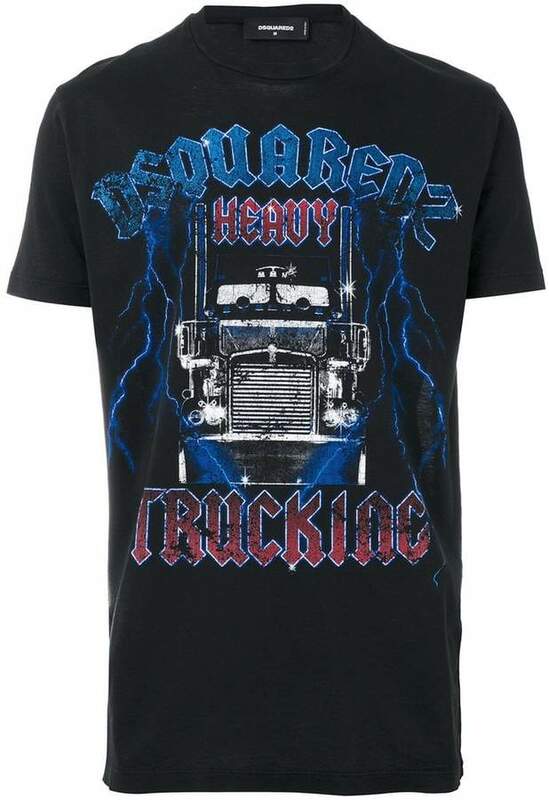 Black cotton Heavy Trucking t-shirt from Dsquared2. 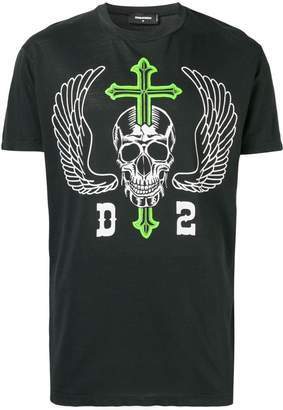 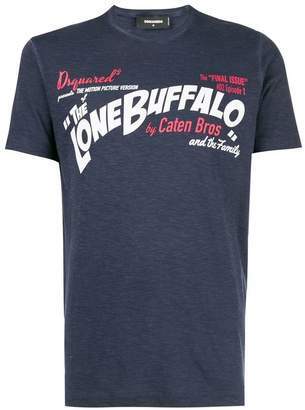 Featuring a ribbed crew neck, short sleeves and a truck motif on the chest.